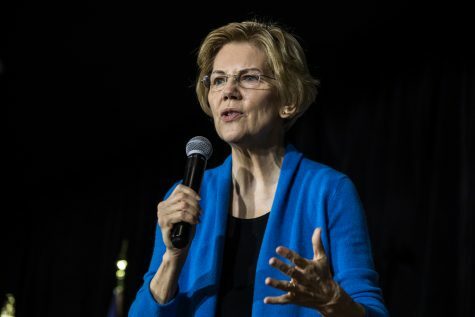 Student-related issues are becoming a focus for the 2020 Democratic presidential-nomination candidates. 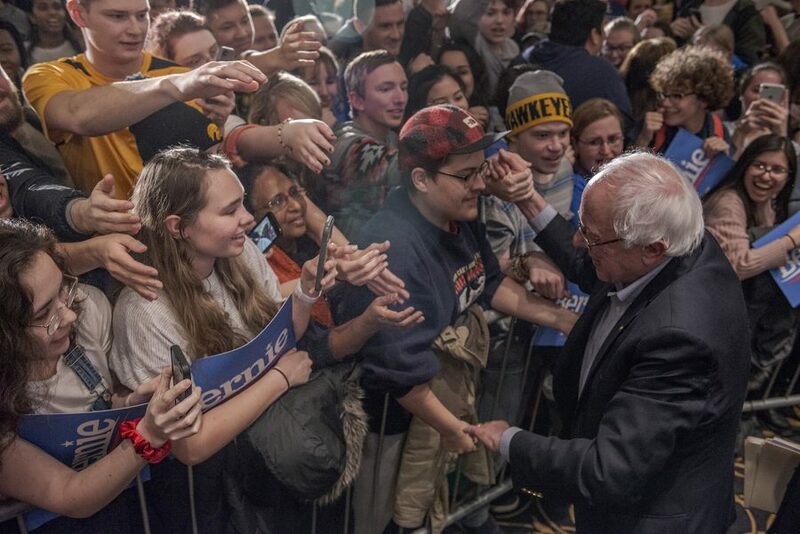 Sen. Bernie Sanders, I-Vt., greets supporters during a campaign rally at the Iowa Memorial Union on Friday, March 8, 2019. The rally was a part of Sen. Sanders' first trip to Iowa since announcing his 2020 presidential bid. 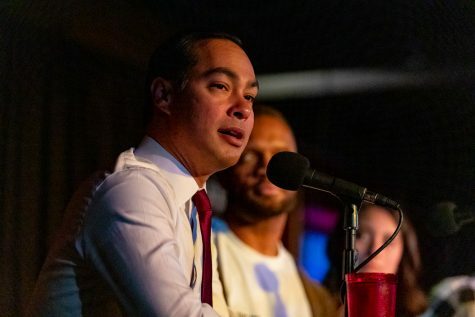 As the momentum toward the 2020 Iowa caucuses heats up, many Democratic presidential-nomination candidates are crafting strategies to appeal to Iowa students and young voters. 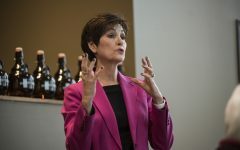 To stand out in the crowded race, candidates are visiting Iowa colleges and promoting their stances on key student issues such as student debt, education, and gun safety as youth political involvement appears to be on the rise. 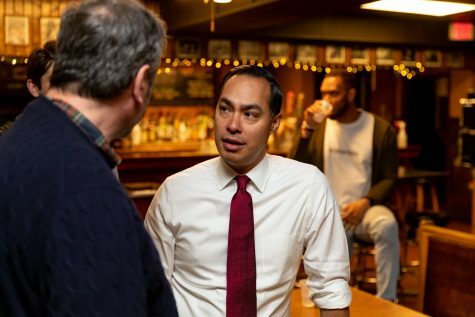 In addition, with more than a dozen campaigns forming Iowa staffs, young volunteers, interns, and engaged Iowans will be in high demand for the next 10 months of knocking on doors, calling, and campaigning leading up to the caucuses. Drake University freshman Tanner Halleran, the communications director for College & Young Democrats of Iowa, said he thinks young people will play an increasingly powerful role in elections, including the upcoming caucuses. 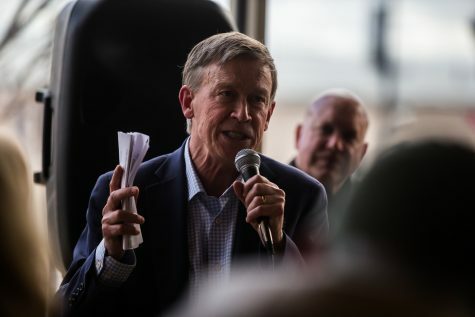 Young people as a demographic constitutes a significant voting bloc, he said. Members of Generation Z, ages 18-23, are expected to make up one in 10 eligible voters in 2020, according to the Pew Research Center. However, despite recent increases in turnout, young Iowans still vote significantly less than older generations. 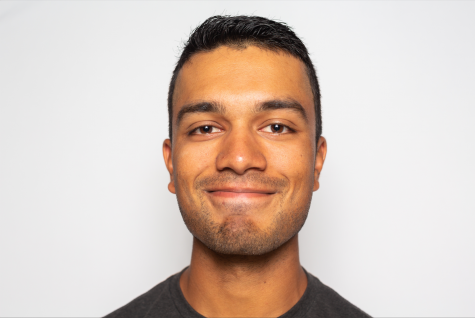 In the 2018 midterm election, 38 percent of 18- to 24-year-olds voted. 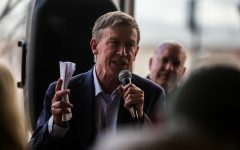 Although they showed a 14 percent increase from the 2014 midterm, they still remained the least civically involved group. In contrast, 78 percent of 65-and-older Iowans participated in the election. 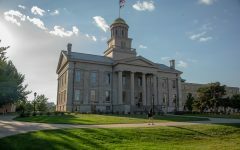 University of Iowa Student Government External Relations Director Herbert Meisner said voting statistics at the IMU, the voting location for many UI students who live near campus, increased exponentially in 2018. He would be shocked if this trend did not continue in 2020, he said. “Students are now more empowered than ever to vote,” Meisner said. 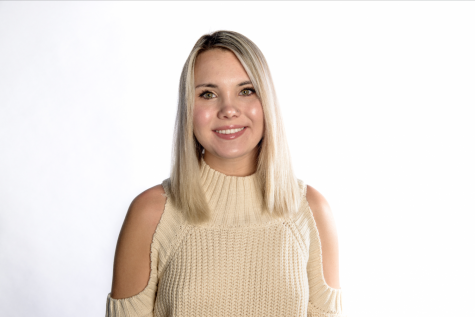 UI senior Ryleigh Fredericks, who introduced Sen. Kamala Harris, D-Calif., at her April 10 rally at the IMU, said candidates want to hear student voices this election season. “One of the things I’ve learned as a student here is how important it is to get involved in the elections and elections processes,” she said. “Especially in Iowa City because of what a political center it is. 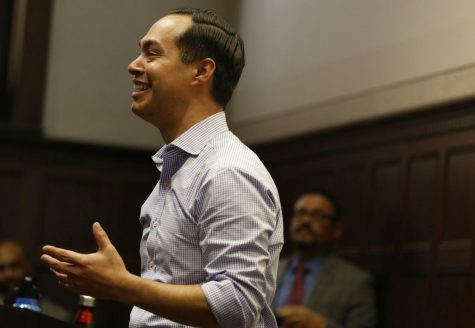 Harris is attempting to harness the youth-organizing effort by hosting training sessions at five college campuses across Iowa. 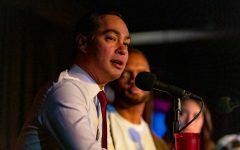 The program, known as Camp Kamala, teaches college students and young adults about Harris as a candidate, informs them about the Iowa caucuses, and provides them with ways to get politically involved. 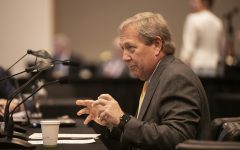 The University of Iowa session was Tuesday. 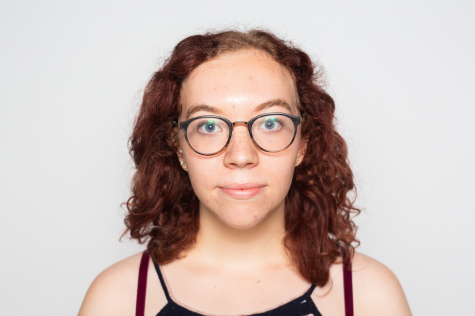 “We hope that by organizing early the campaign not only shows how much we value student and young-adult contributions to the campaign and the electoral process, but it also gives students and young Iowans the opportunity to have their voices heard earlier in the election than normal,” said Miryam Lipper, the Harris campaign’s Iowa communications director. 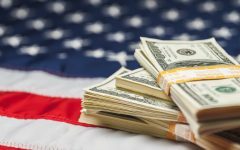 With student engagement on the rise, many other candidates are targeting young potential volunteers and voters by touting their solutions to the issue of mounting student debt. 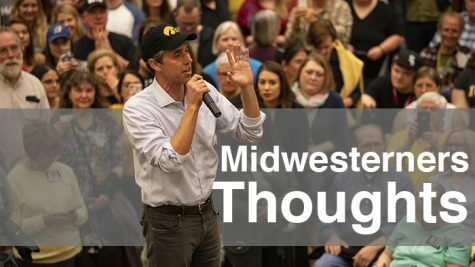 Beto O’Rourke addresses supporters during his event in the Second Floor Ballroom of the IMU on April 7, 2019. O’Rourke will be running for the democratic nomination for president. 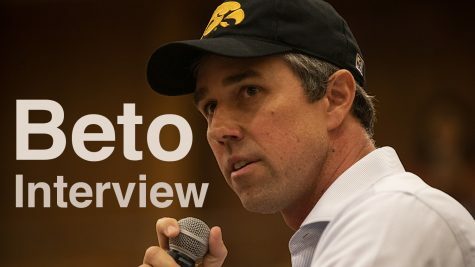 “We’re not getting the best out of people when they’re saddled with tens and sometimes hundreds of thousands of dollars in debt, which far too often I think they can’t pay back,” former Rep. Beto O’Rourke of Texas said in an April 7 interview with The Daily Iowan. 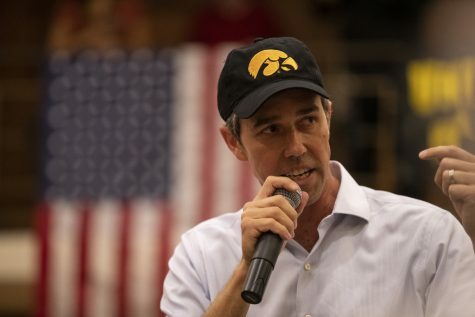 O’Rourke visited the IMU in a string of Iowa college stops (donning hats of each school’s symbol and colors). Student debt is at its highest, with about 44 million people owing a collective $1.56 trillion. 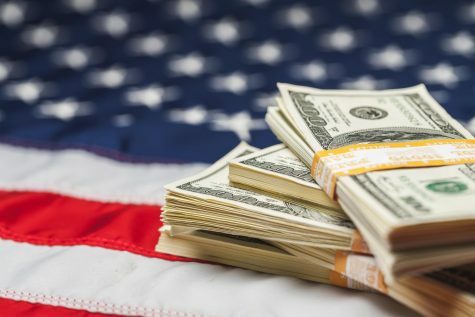 Students graduated with an average $33,310 in debt in 2018, according to statistics from the Education Department compiled by the financial-service marketplace Credible. 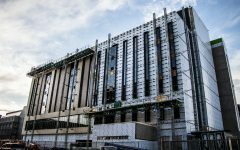 To save students money, O’Rourke said, he supports free community college and partnerships with public high schools so that some students can obtain associate degrees along with their high-school diplomas. O’Rourke said he supports granting loan forgiveness in exchange for public service. Presidential race returner Vermont independent Sen. Bernie Sanders railed against the “1 percent” and called for tuition-free college in a rally at the IMU this year. 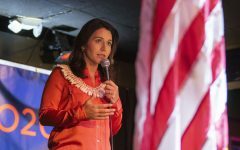 The senator performed better than both Hillary Clinton and now-President Trump among young voters in caucuses and primaries nationally in 2016, according to a study from CIRCLE at Tufts University. Presidential hopeful and former Maryland Rep. John Delaney said he thinks all Americans should have the option to attend community college or other vocational training after high school. He said the interest rates need to be lowered. “The government shouldn’t be making money on student debt,” he said in a March 31 interview with The Daily Iowan. However, Delaney said his primary appeal to young adults will be through his ability to fix a wide variety of problems relevant to both younger and older people, such as gun safety and climate change. 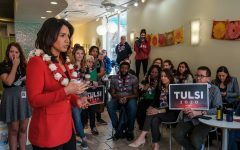 Strategies to appeal to students for the 2020 caucuses are also shifting along with current national events. Candidates are beginning to call gun control a student issue because of the death toll in recent years from school shootings. High-schoolers and young activists have played a prominent role in advocating for gun-safety as a student issue, from the perspective of protecting other students from school shootings. 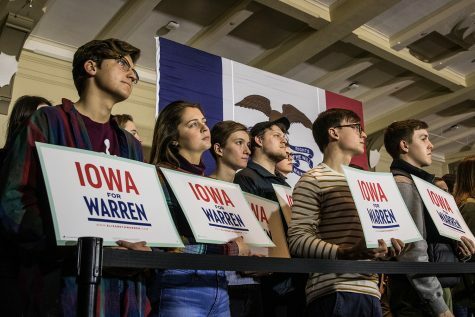 Supporters for Sen. Elizabeth Warren gather during a campaign rally in the IMU on Sunday, February 10, 2019. Thirty-five people were killed in K-12 school shootings in 2018, and seven people were injured, according to Education Week, a journal covering U.S. education. O’Rourke said he attributes recent gun-safety initiatives, such as the universal background-check bill passed in the House on Feb. 27, to the leadership of young people. 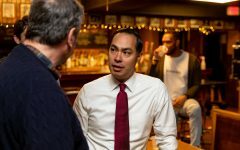 He said that specifically students who led high-school walkouts and organized protests for the March For Our Lives gun-safety movement contributed to the beginning of changes in national gun legislation. 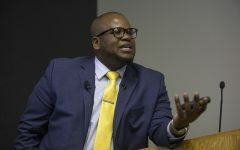 “I really think about the history of our country and in any moment of significant change, it’s very often the young people leading the charge, risking their lives,” he said. 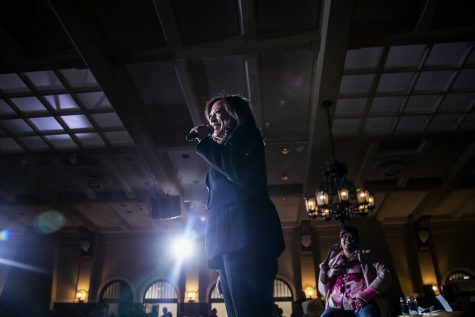 At Harris’ April 10 rally at the IMU, she pointed to many public schools having active shooter drills as a sign of a larger problem with gun safety in the U.S.